Recap – April 2016 : Squad – Communicate. Coordinate. Conquer. April has come and gone, time to update you good people in the Squad-space about whats been happening behind the scenes! For those still unfamiliar with Squads Monthly Recaps, they are a way for the developers to bundle up the major developments that have happened throughout the month and show them off to YOU, the faithful Squaddie. HEAPS of progress has been done on Weapon Emplacements over the past month. Building on the gigantic strides we made in networking with Netmove, the first of a larger system in emplacement deployables is nearly ready to go and we are aiming to release this in the next major version. 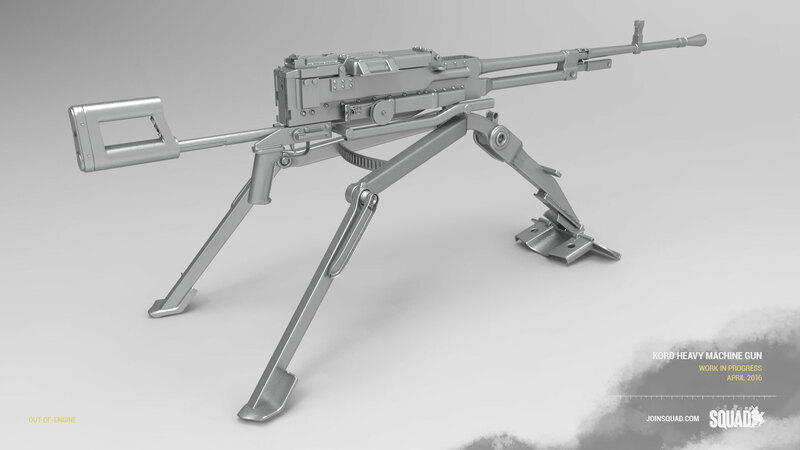 At the moment the final hurdle is bug-fixing and polish with the prototype M2A1 Browning HMG emplacement, but once the pipeline is established, we can iterate very quickly on this new feature and put out more emplacements suitable to the different factions. Another big plus from this is that a lot of the artistic and programming hurdles overcome in getting this system together are ones that we would also encounter when dealing with vehicles. Two birds one stone. A good while back Epic Games added a new cable component to the engine. We have spent a bit of time internally revising the code of Epic’s awesome cable component, and we now feel that we can use them as a new awesome tool that works within our map sizes and large amounts of players. 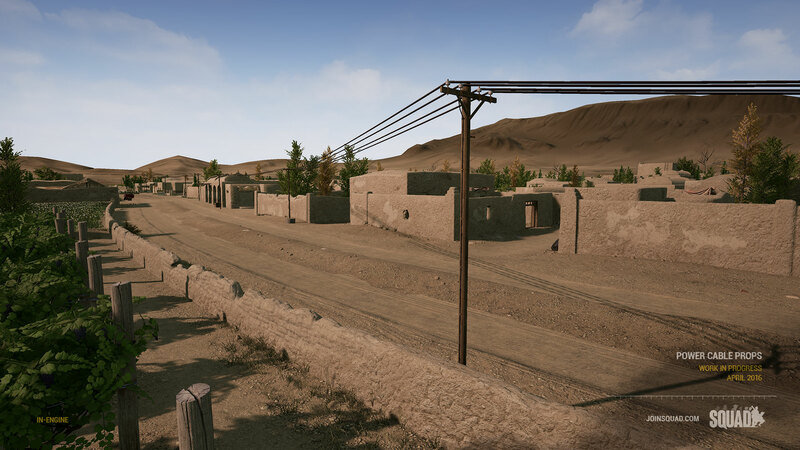 The original component continuously calculates throughout the game (and is thus not feasible for our use) but we have utilized the numerical solver and are now using it for dynamically calculating power-lines for our maps. All the mapper needs to do is to place a sqcable component or an actor using it in the map and then set where the cables should go, after this the slack in the cables will auto calculate out of the box, this means that power pole systems etc. are really quick to add to maps, and that mappers are no longer limited to pre-built meshes that limit them in cable distances and slack amount on the cable. Epic released a new groundbreaking version of their engine at the end of last month and the all-star programming team has been hard at work dissecting the update and upgrading Squad to this new version of the engine. Chief among the updates this new version brings are Multithreading and Performance improvements, LOD bone removal to help with animation performance with a large number of players as well as improvements to way the engine handles rendering. 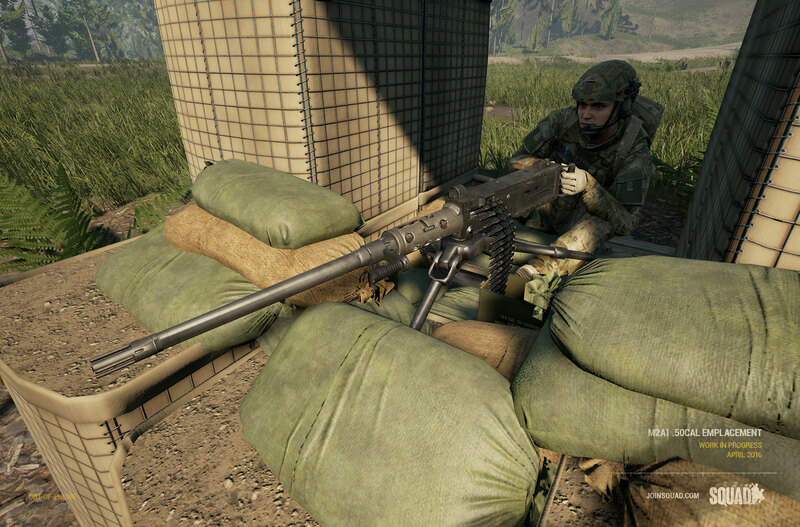 We will be releasing a more concise list of changes when we release the next version of Squad that will contain Unreal 4.11. 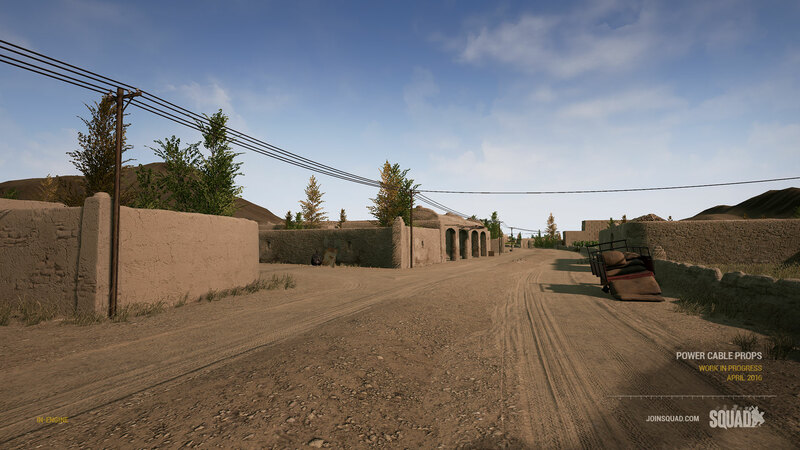 We are also happy to announce that we have soft launched our Squad SDK with the initial release including all of our current mapping assets available for everyone to dig into and rip apart. 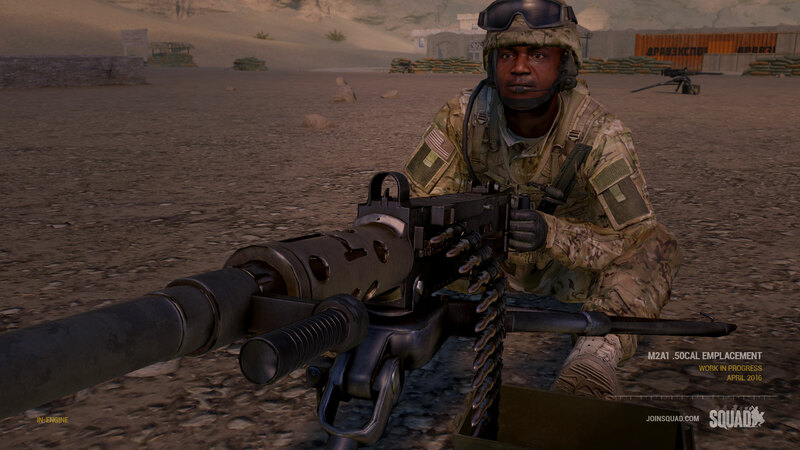 This release will follow in approx 8 weeks with Squad being added as the second mod-able game on Epic Games Unreal Editor Launcher. 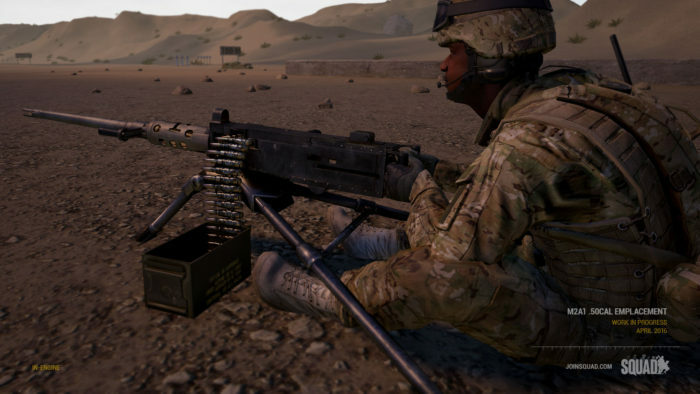 We are hoping this is the first step to making Squad the premier high profile mod-able Military FPS on the market. Or join our Discord modding group HERE. A few shots of what people have been cooking up already! 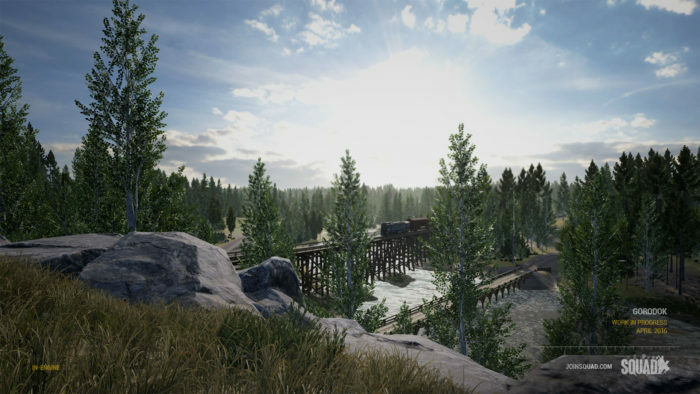 Over the past month we’ve been working hard to network and add more bells & whistles to the foliage collision system. As in the demonstration video below the system is taking shape and is being made more practical and less network intensive. 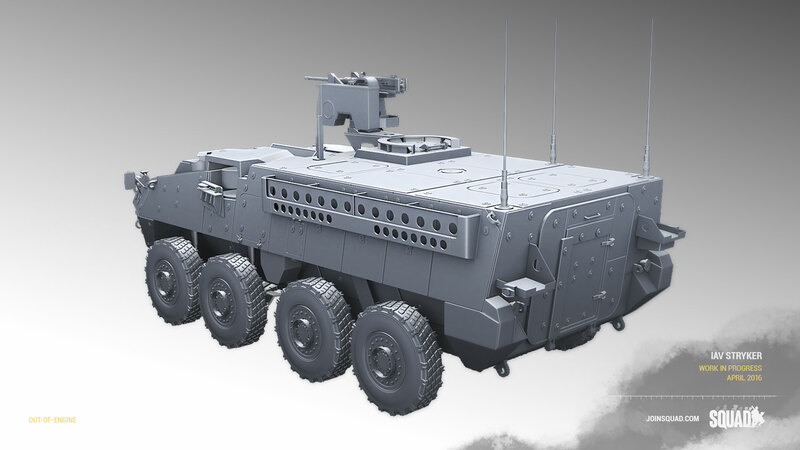 Further progress on the US Armys IAV Stryker APC has been made, and is almost ready for texturing. 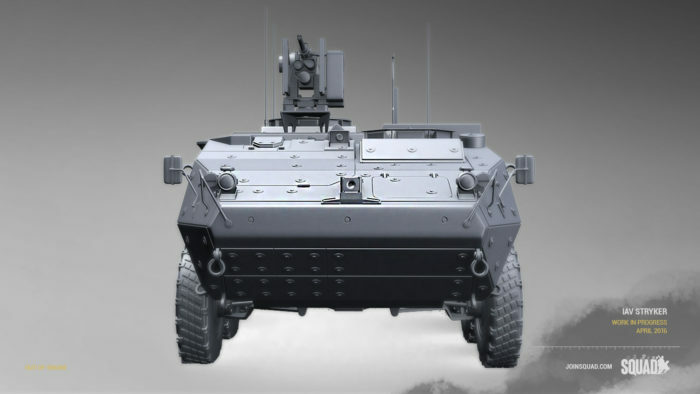 Initially equipped with a Remote Controlled M2A1 Browning .50cal, this vehicle will ferry men and material to the front with enough teeth to take down most infantry and light vehicle threats. 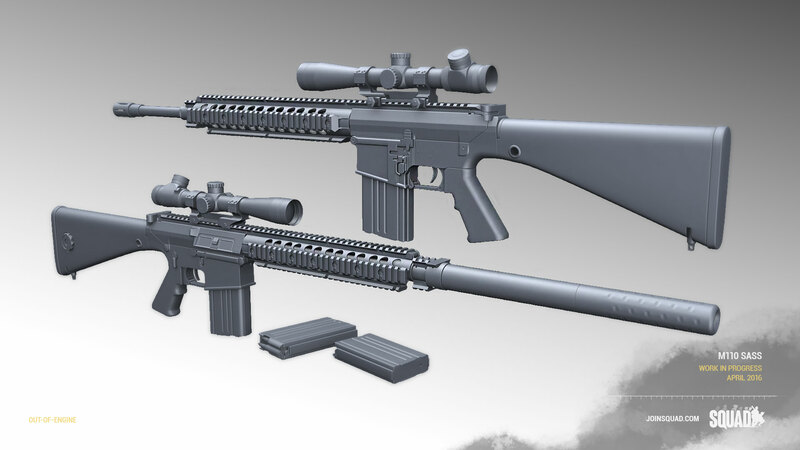 The M110 rifle is in its final stages of modelling and will be going through a texture pass very soon. It is a semi-automatic Designated Marksman rifle firing the larger 7.62×51 NATO round, giving US Army squads that little bit more power and reach with their arsenal. 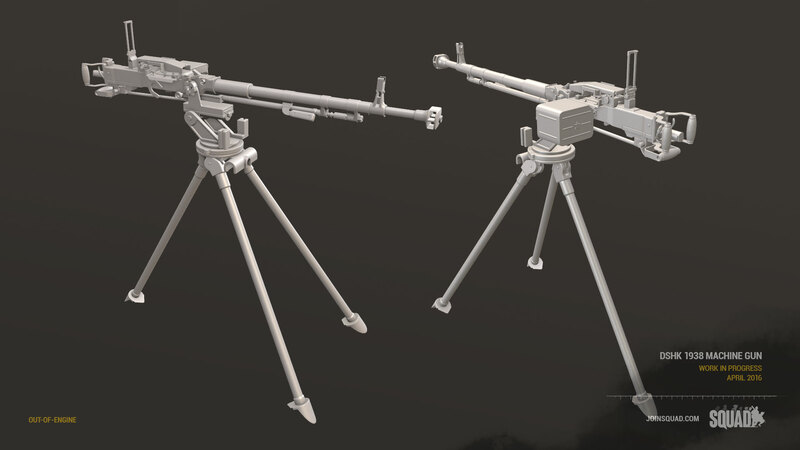 Both these heavy machine gun assets have seen the start of production earlier this month and have made significant progress since then. 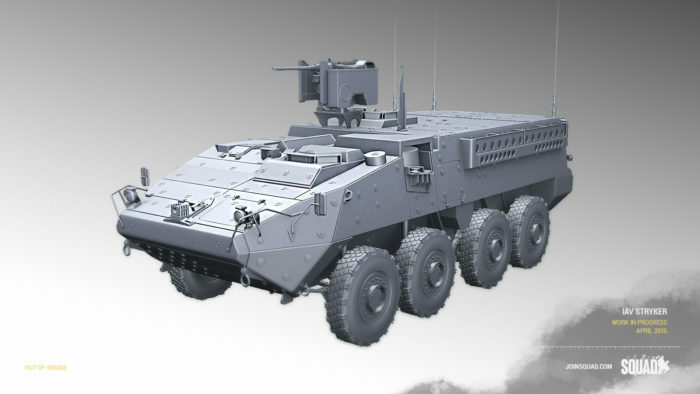 The Kord is a massive 12.7x108mm Heavy machine gun designed for the Russian Armed Forces. The DshK is a much older Soviet era Heavy Machine gun firing the same caliber, intended for the Militia and Insurgent factions. Both of these machine guns will begin their lives as being deployable Emplaced Weapons, once the prototype M2 Browning HMG has been fully fleshed out and the pipeline established. 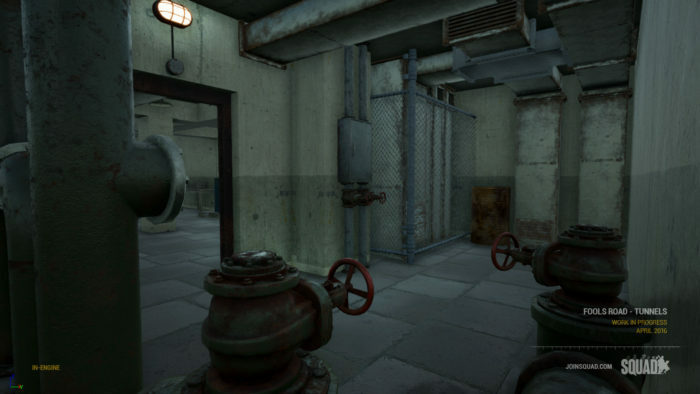 Fools Road has been undergoing less a make-over and more of a make-under (Ed: feel free to shoot Chuc for that pun), with a lot of work going into fleshing out the underground tunnels running underneath Fools Road. 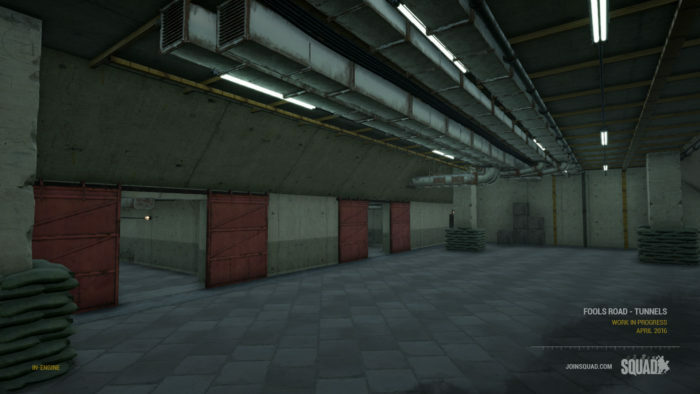 The cramped hallways of the Militia subterranean network will provide some extremely chaotic firefights as flanking options are cut while traversing under the soil. Gorodok has undergone a lot more changes since last time, with the map almost ready for full scale playtesting by the next version. 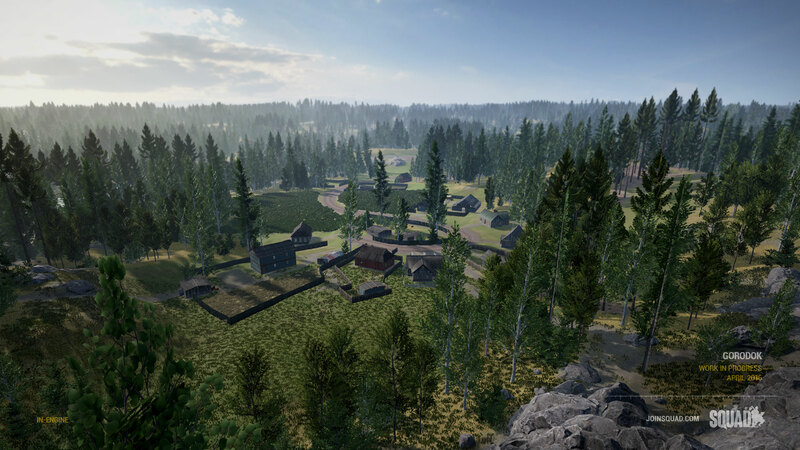 Bear in mind that visually this map is still in its early stages, but once internal testing commences its progress as a playable map will dramatically accelerate.